For the website redesign for Morris-Depew Associates, we were inspired to replicate the creative layout illustrated in the logo to easily represent each division of services the company has to offer in a clean, easy-to-navigate format. Additionally, in order to capture viewers’ attention, the integration of moving features creates a more engaging experience compared to the previous layout. 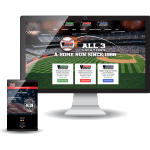 The updated site is also designed responsively with SEO embedded into it so visitors can search keywords that are relative to Morris-Depew’s services and find them more easily on search results. With the addition of interactive features, the newly designed project page showcases all of the work the company has done for various industries with a detailed description of what kind of services were used for each project. 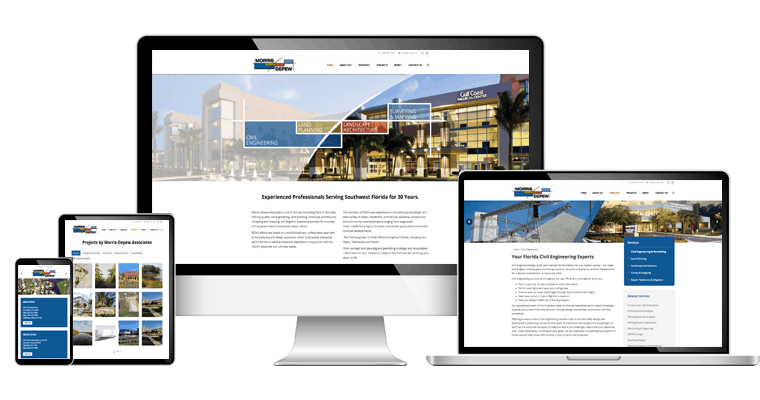 Overall, the new website design is minimalistic while still offering enough information to visitors about each of their services.